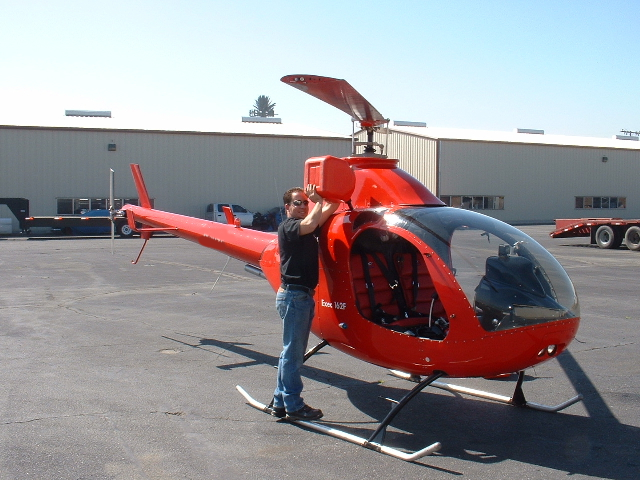 Brad purchased his Rotorway 162F from the builder after the builder put many hours on it flying all over the Southern California area. I had read many accounts of the previous owners excursions down the beaches and up into the mountains of a large section of the south coast area. 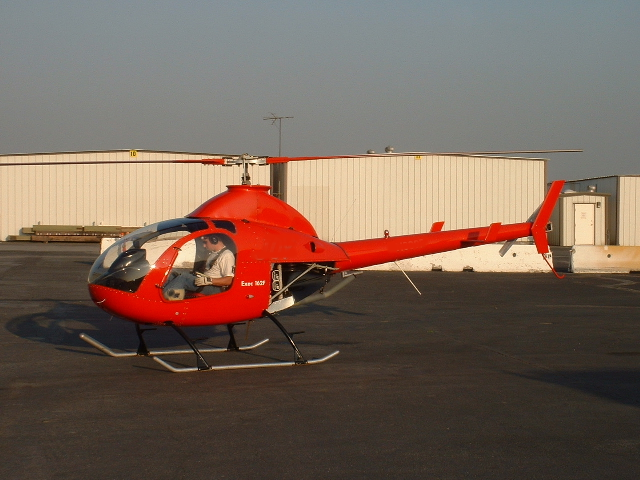 When he found that he could use a larger helicopter in his work he purchased an R44 and sold his ship to Brad. 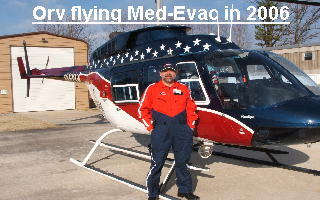 Brad then hired Orv Neisingh to travel to his home in Southern California to teach him how to fly his new-to-him helicopter. After several hours of working on the helicopter to bring it up to Orv's standards, Brad's flight training began. After lift off Instructor and student would hover taxi the helicopter out to the apron of the local airport were there was a plenty of room. Brad was a quick study and soon he was learning approaches and departures. Before the week was up Brad had progressed to performing autos, and all of the other helicopter maneuvers. He learned in one week what most students learn in two. Above Brad is refueling his helicopter for another 1.5 hour training session. All this student wanted to do was fly. As the flight training week drew to a close, Brad was ready for his first solo flight. Here he is going through his pre-engine start check list prior to his first solo flight in his ship.